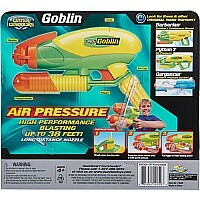 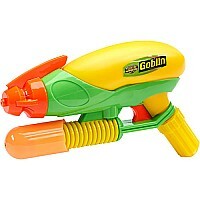 Buzz Bee Toys Water Warriors Goblin Water Blaster is great for sneak attacks! 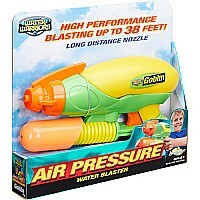 Just fill it with water, the pump handle to build pressure and pull the trigger to spray! 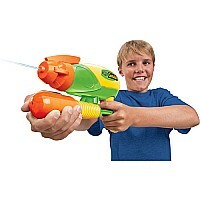 Soak a target up to 38 feet away. Smaller and lighter than most blasters, it's easier to carry and run with. 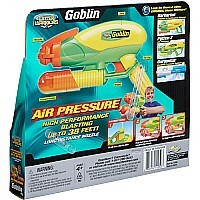 Great for parks, beaches and backyard fun! 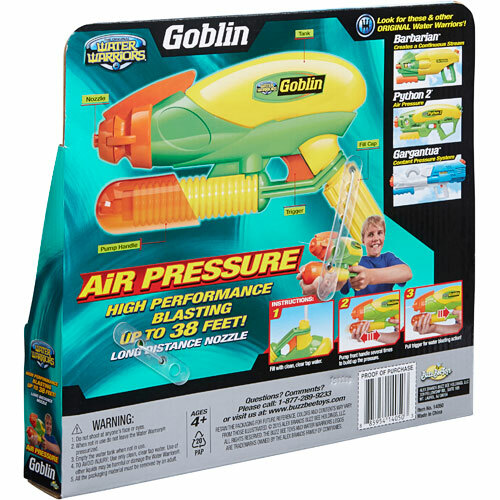 Includes a 10in. Long 9oz. 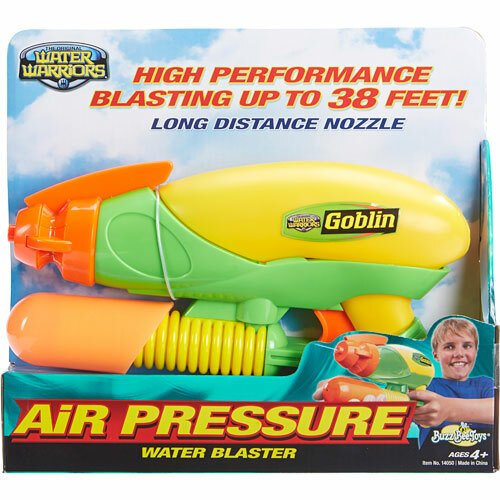 Water blaster. 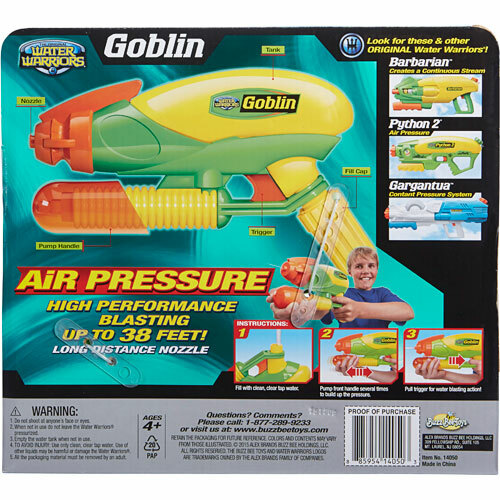 Recommended for children 4 years of age and older.